Seen at the Nebrownii waterhole in Etosha National Park, Namibia; he crossed the road about 20 meters in front of our car! 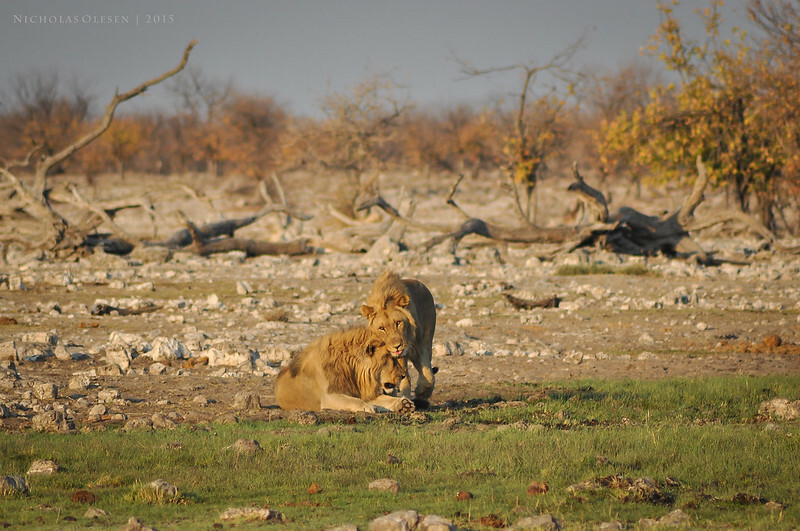 We arrived at Etosha National Park in the early afternoon and decided to head straight out into the park to see what we could find, without getting our hopes up too high for our first outing. We saw the ubiquitous springbok, kudu, ostriches, etc. and eventually, as the sun started to set, turned around to head back to our campsite. On our way back, we decided to stop at the Rietfontein waterhole briefly as we had a few minutes to spare. About 1 minute later we saw an animal slowly wandering towards us – is it a springbok? No, it’s big… maybe a hyena? 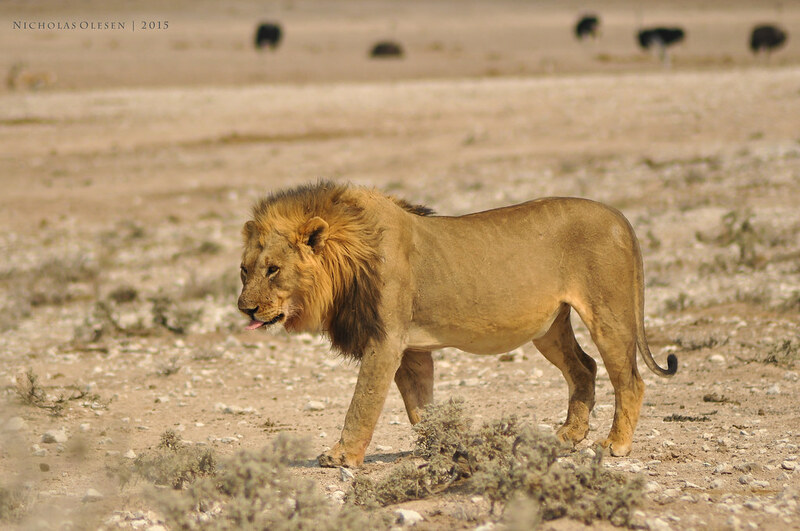 And then it got close enough to be clear – a large, beautiful male lion! It headed to the water and started to drink – and then his brother showed up! They both drank for a few minutes, then the first went and sat down. The second one followed a couple of minutes later, giving the first one a gentle headbutt on his way past! Unfortunately we had to leave as we had to drive 45 minutes to get back to our campsite before the gate was closed for the night – we didn’t want to get locked out with these guys for the night!